I bought this book and read it in one sitting. I loved it! It is well written, well organized, easy to follow, and lots of good, practical information. I’m very excited about FIVE of the methods. I will start with one and then branch out. Thank you for your inspiration! 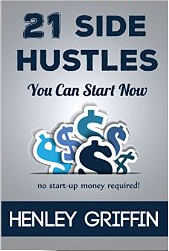 I wish to learn at least one side hustle there, hope to have that book on amazon soon.